Take a TEFL Course Somewhere Hot This Winter! Get the life you’ve always dreamed of by taking a TEFL course abroad with Cactus TEFL. By learning to become an English teacher abroad you are perfectly placed to find a great job in the same location. Start planning now by visiting the experts in TEFL – Cactus TEFL. Don’t wait for tomorrow, apply for your TEFL Course with Cactus TEFL today! Are you eligible? Find out with our TEFL Eligibility Test. Don’t forget to check our TEFL Jobs page to check all the up-to-date opportunities from all over the world and our TEFL Courses with Guaranteed Interviews! Cactus TEFL is giving away a free Language and Culture Survival Lesson for the language of your choice (worth £75) when you book your TEFL course with Cactus. This is an individually tailored lesson and will be an invaluable resource for your new English language teaching life! 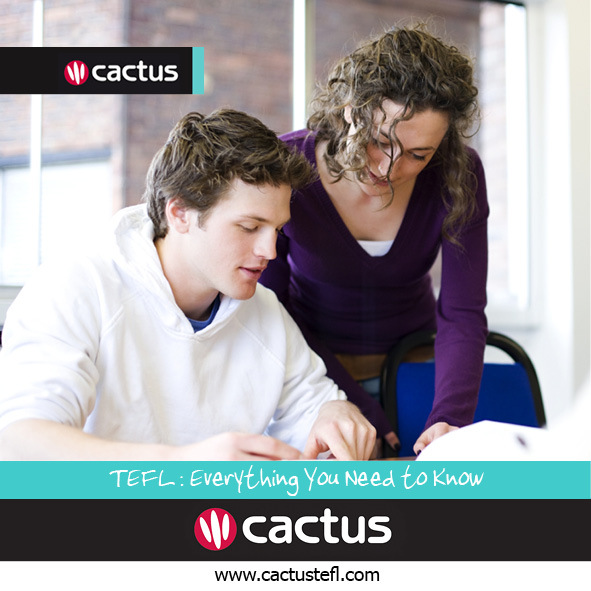 Cactus TEFL has written for The Guardian about TEFL Courses, from how to choose a TEFL Course to what happens after TEFL. These articles give excellent insight into the English language teaching field and some great advice if you are looking to start your English language teaching career. For all your English teaching and TEFL related questions simply contact us, or call us, one of our multilingual team will be happy to answer any questions you may have.